(CNN) Few predators can match the devastating impact of the lionfish. Since arriving in US waters in the 1980s, these fearsome creatures have left a trail of destruction along the Atlantic Coast, from Rhode Island to Venezuela. 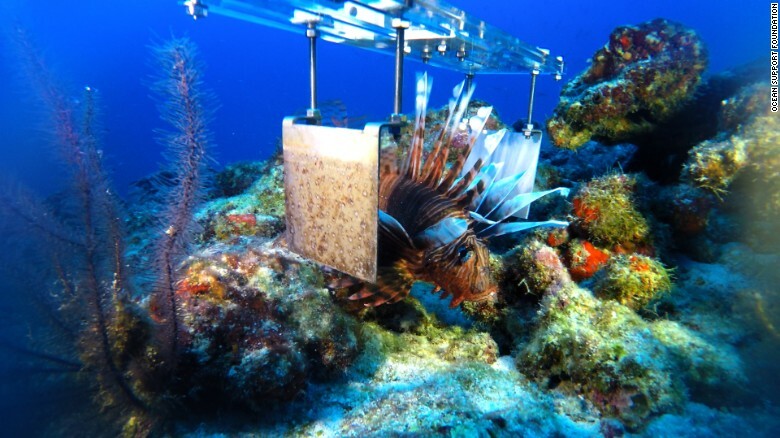 Lionfish can reduce a flourishing coral reef to barren wasteland in a matter of weeks. Native fish, unfamiliar with the new arrival, do not know to avoid it, and the predator gorges to the point of obesity. As so-called "apex predators" they sit at the top of the food chain, unthreatened by any other creature. They breed rapidly, and are extremely resilient and adaptable. No solution has been found to control their advance yet, but conservationists could soon have a new tool at their disposal: killer robots.